The five Escudo denominations became the model for American currency, serving as respective forbearers to the Dollar, $2.50 Gold Quarter Eagle, $5 Gold Half Eagle, $10 Gold Eagle and $20 Gold Double Eagle. These coins would remain U.S. legal tender for more than 81 years until 1857. However, in the days before the famous gold rushes of the 1800s, many Escudos in circulation were melted down to produce U.S. coins. That's the main reason why only an estimated 1% of the original mintage is still in existence today! 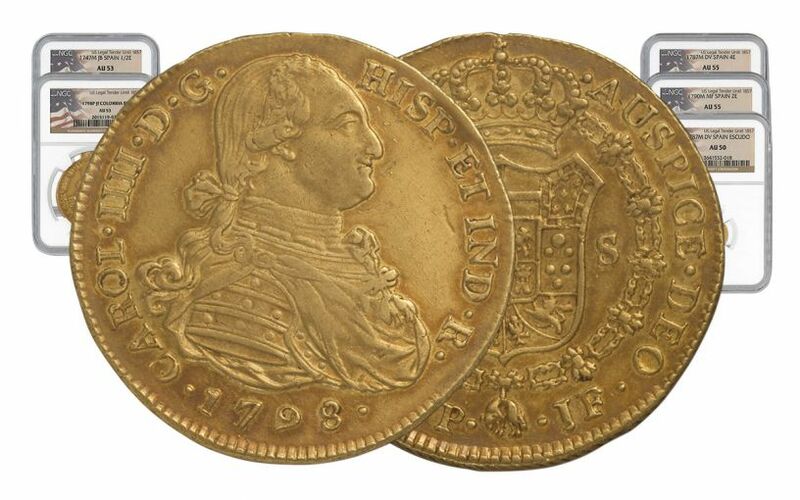 Fortunately, our buyers have located a small number of Escudos from 1742-1799 -- the years that they were highly prized in colonial and post-independence America. 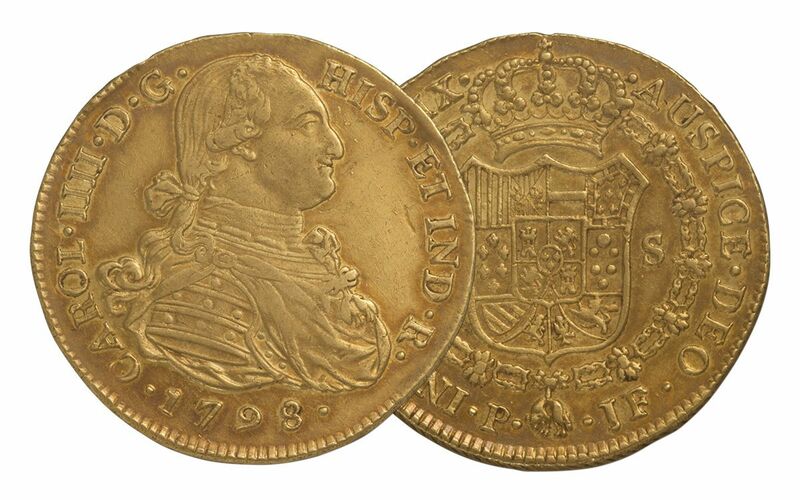 Order now and we'll choose one 18th century Escudo each from the five denominations (1/2, 1, 2, 4, and 8), minted during the reign of either King Ferdinand VI (1742-1759), King Carlos III (1759-1788) or King Carlos IV (1788-1799), to send directly to you. Each coin in the set will come graded About Uncirculated (AU) by Numismatic Guaranty Corporation (NGC) and individually sealed in its own acrylic holder along with an exclusive "Legal Tender Until 1857" label. In addition, your coins will arrive together in a specially crafted wood presentation case along with a Gold Escudos story booklet and checklist. 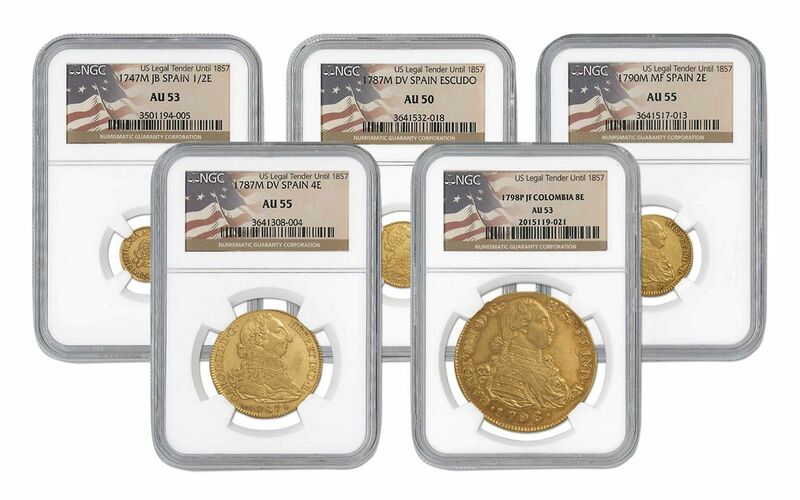 We only have a few of these Gold Escudos sets in our vault. Due to their exceptional condition, we're not expecting them to stay ours for long -- make one of these sets yours today!